Ken Pauly was picking up good vibes before his Red Knights even took the pregame warm-up skate Tuesday night at the Recreation Center in St. Louis Park. 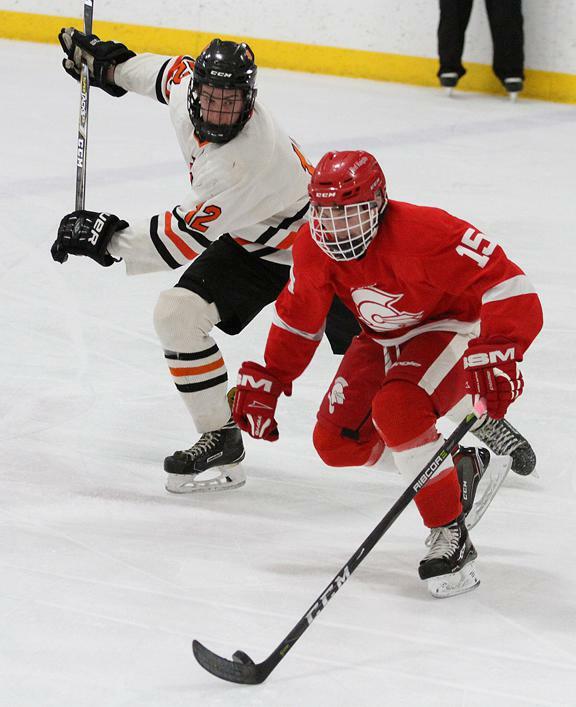 Benilde-St. Margaret’s needed a win to secure the Metro West Conference championship, and he saw how the boys carried themselves with confidence and purpose as they prepared for crosstown rival St. Louis Park, which shares the arena with the Red Knights. After the 4-0 victory that handed Benilde-St. Margaret’s (12-11-1, 7-0-1) the league crown, Pauly and a young group of Red Knights appear ready to charge towards the section tournament. 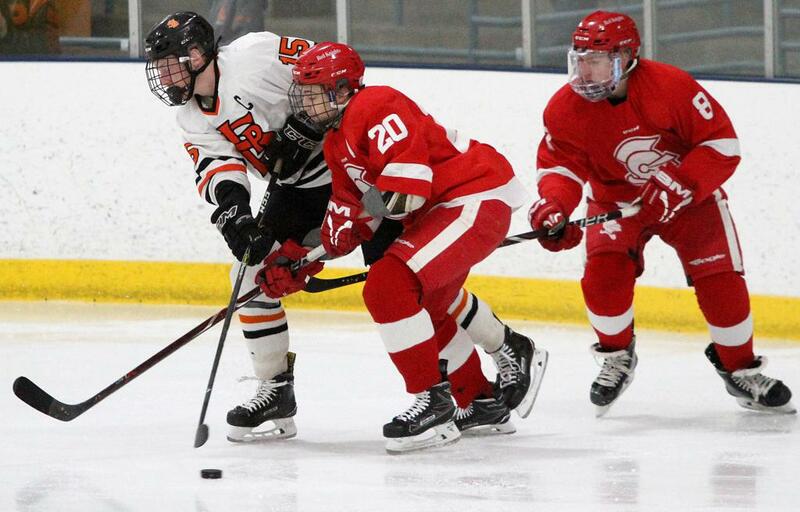 The Red Knights peppered St. Louis Park (14-8-2, 6-3-1) after claiming the lead midway though the second period, and dealt perhaps a crippling blow when Jonah Mortenson scored on a rebound with one second remaining in the period to take a 2-0 lead into the third. In net, freshman goalie Carson Limesand earned the shutout, stopping 24 shots to clinch his fourth shutout of the season. His counterpart, St. Louis Park senior goaltender Atticus Raasch finished with 39 saves. This was not a typical game, and this is not a typical Benilde-St. Margaret's team — yet. To earn it Tuesday, the Red Knights had to dispatch an Orioles squad honoring a senior class of 13 players. Before a charged atmosphere where both teams had a home presence, Benilde-St. Margaret’s went to work with a significant shot advantage, more zone time, and greater scoring chances. Red Knights senior captain Joe Collins scored the game’s first goal midway through the second period, then added an empty-net goal in the third to push his team-leading goal total to 19 with 32 points. Winning the conference crown after missing out last year was not lost on the senior. Pauly praised the total team effort that delivered the team Metro West supremacy, and also a more advantageous section seeding for Benilde-St. Margaret’s. But it’s the experience that Pauly praised as his team is peaking at the right time. Benilde-St. Margaret's shut out St. Louis Park 4-0 Tuesday evening at the St. Louis Park Recreation Center to clinch the Metro West Conference championship. The Red Knights (12-11-1, 7-0-1) got two goals from senior forward Joe Collins, while freshman goaltender Carson Limesand turned away all 24 shots he faced to earn the shutout, his fourth of the year. Benilde-St. Margaret’s got the scoring started midway through the second period when Collins scored at even strength, and St. Louis Park fell steadily behind. The Red Knights added a second score with one second remaining in the second period when Jonah Mortenson scored on a rebound, and Benilde-St. Margaret’s was on its way. 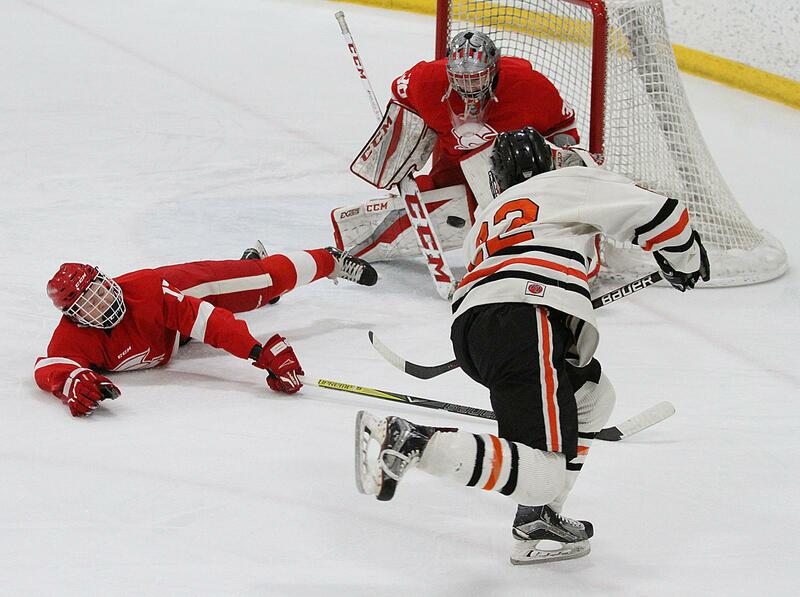 St. Louis Park senior goaltender Atticus Raasch made 39 saves in the loss for the Orioles (14-8-2, 6-3-1).